Steven (Chicagoland, United States) on 4 June 2015 in Plant & Nature and Portfolio. Hosta "Dance with Me" has heart-shaped leaves with light green/slight yellow centers and wide green margins. The "Dance with Me" hosta is medium in size reaching around 16" in height and will produce lavender flowers in late summer. Plants are vigorous with good substance and very good resistance to garden pests. Even without the name this would be fun ! You have caught this well. They are lovely, here it's winter and hostas are dying back! The light bounces off of them with no glare, so they seem to dance well ! Superb framing and wonderful colors ! Impressive name, indeed !! :)) Great framing to convey the strength of those shapes and textures. Excellent sharpness. 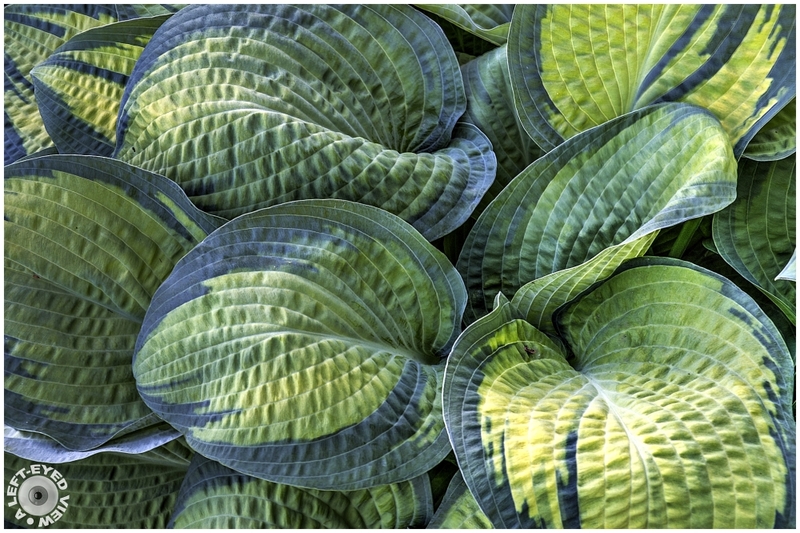 I like the special two-toned look of these Hosta leaves. A fine shot. They are lovely leaves... love the name 'Dance With Me'... fabulous colors! I have Hosta also but not this one... I've never seen this variety before. An excellent capture... great light & detail!! AMAZING! Beautiful leaves. Excellent title. These hosta are just gorgeous! One of my most favorite plants. I just love all the varieties! A beautiful image! These leaves are absolutely magnificent ... the textures and shapes are fabulous !!! Lovely colors and fine subtle shades of green. Hostas have the best leaves in the garden. Excellent shot. Beautiful, subtle colors and wonderful shapes in this fame full of leaves. Great colors of the hostas! Lovely palette of greens and beautiful graphics. Elles sont superbes ces feuilles !!! I like how the light dances over the leaf textures - perfect. Thanks for sharing. I would like to dance with her ! Des plantes magnifiques qu'il faut protéger des escargots... Superbe image! Beautiful plants to be protected snails ... Superb image! Such beautiful plants. Great shot. Beautiful take, Steven! You make the leaves look by far better then the flowers of this plant! Un bel assortiment de verts tendres ! Lovely combination of shapes, patterns, and color.